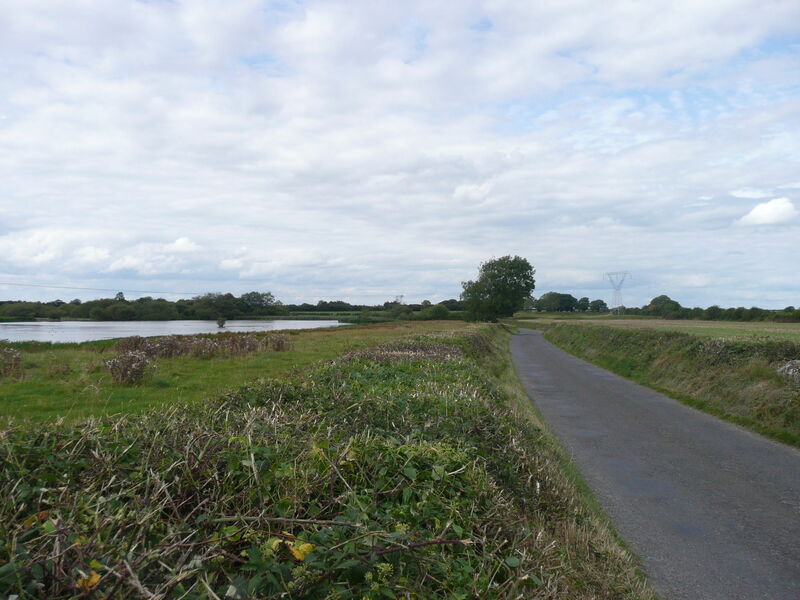 Nenagh to Cloughjordan and Borrisokane Cycling Tour is a 59.7 kilometer loop trail located near Nenagh, County Tipperary, Ireland. The trail is rated as moderate and is primarily used for walking, trail running, and road biking. Cycle to Ireland's first eco-village in Cloughjordan on a loop bringing you into the heart of rural Ireland. 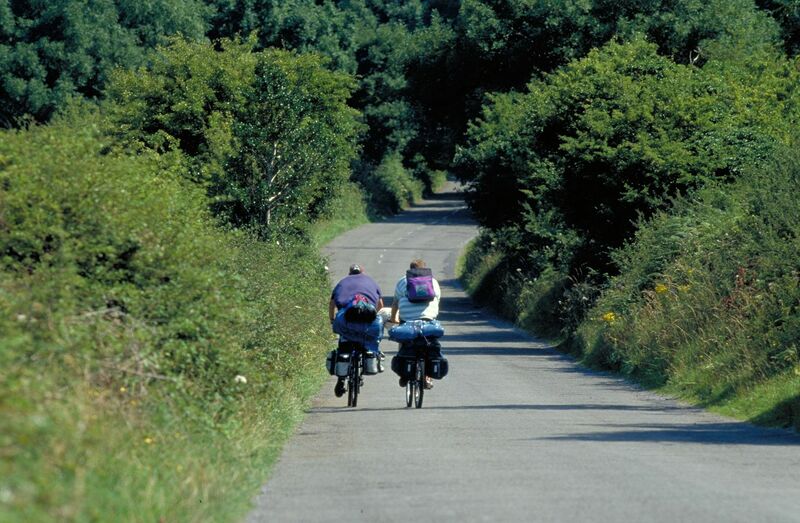 The North Tipperary Cycle Network, with the town of Nenagh at its hub, offers three loops varying in distance from with numerous shorter alternative loops. Each cycle offers pleasant views of the local countryside while Loops 1 and 2 provide stunning lakeshore panoramas. Numerous picnic stops are dotted along the route as well as a number of award-winning pubs and restaurants. This loop is a relatively flat cycle visiting Cloughjordan, home of Ireland's first ecovillage, returning to Nenagh via Borrisokane along quiet inland roads. An alternative shorter journey may be taken along this loop. 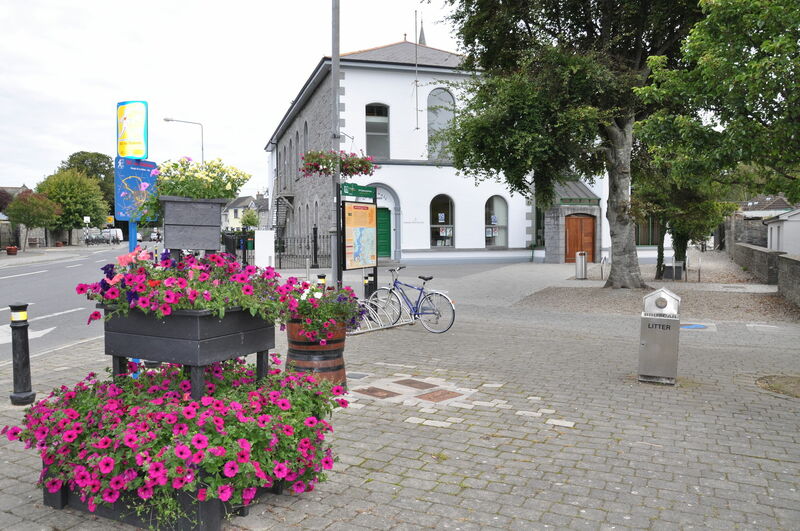 The Trailhead for all three North Tipperary Cycle Routes is located in Banba Square, Nenagh. Some information on Nenagh and on things to see and do is provided below. To begin Loop 3, cycle down Kickham Street towards the centre of town following the Route 3 signs. Turn left up Pearse St and after 600m turn right onto Bulfin Road. Leaving Nenagh behind, continue out this quiet country road. 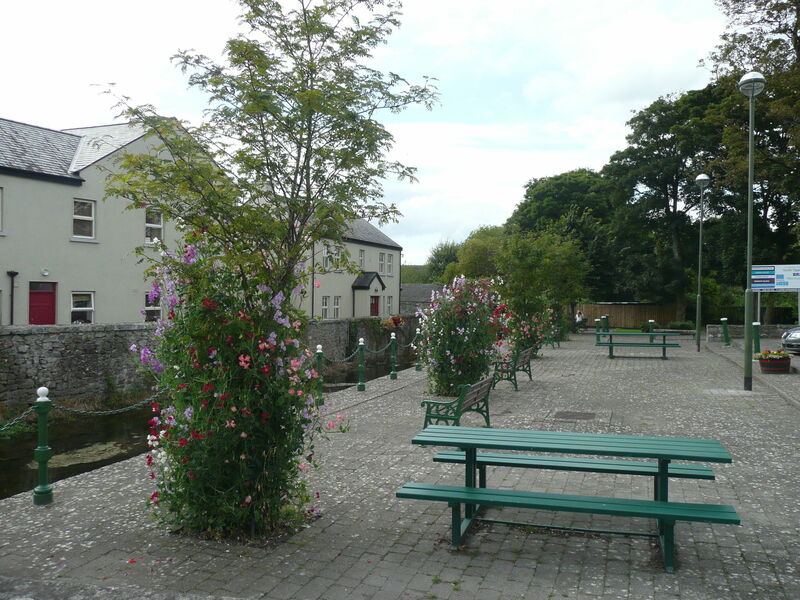 The area at Ballyartella Bridge provides a picnic area overlooking the weir and there is a visitor centre and shop at the nearby Hanly Woolen Mills. The mill race and the ruins of Ballyartella Mill are designated national monuments. Ballyartella Bridge is a fine example of a surviving medieval 5-arch stone bridge, the present structure dating from around 1720. A 13th Century Norman castle overlooks Knigh Cross which is where the route crosses the regional road R493. Cyclists are advised to exercise extreme caution crossing this junction. About 3.5km from the cross at Carney you will come to another junction just after Ryans Pub. Follow the signs as the road veers to the right. Johnny Ryans is one of the oldest pubs in the area and with outdoor seating is a great place to stop on this leg. 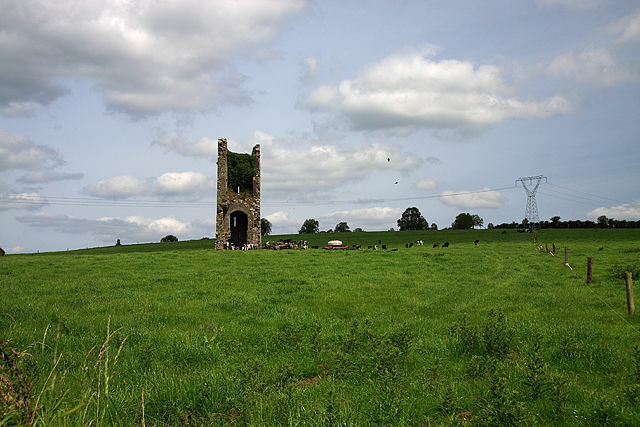 Located in the ancient barony of Lower Ormond, Borrisokane in North Tipperary is steeped in history - its name is derived from both Gaelic and Norman origins. The name "Borris" comes from the Norman French "Burgage" or "Borough" meaning a centre of population, and "okane" is likely to derive from the anglicisation of the name O'Carroll, also known as the Clan Cianacht. The town today has a population of approximately 1,100 and offers a pleasant visitor base within easy reach of Lough Derg and the many attractions of the area. Turn left here for Borrisokane. Exercise caution on this part of the route which uses the main N65 Nenagh-Portumna road for a short period. This junction in the townland of Kylebeg marks where the loops turns left for Borrisokane. Follow this peaceful local road for 5km until it reaches the junction with the N65. Caution is advised at this junction as you briefly join the busy N52 road before taking a left towards the village of Aglish. 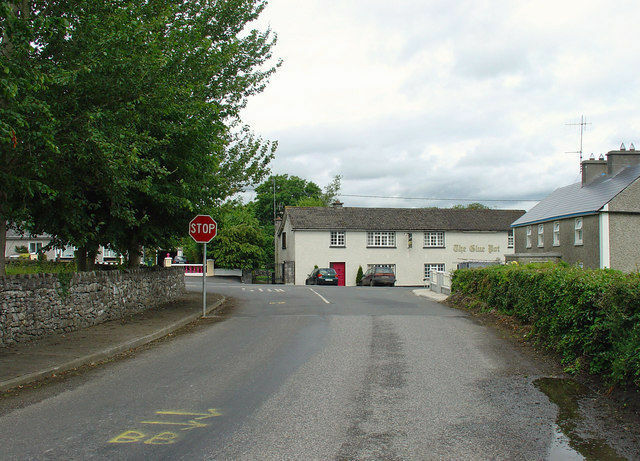 The Glue Pot is a very popular family-run pub in Ballingarry and if you take a small diversion, there is also a pleasant amenity area a short distance along the N52 on the right hand side. Turn left at the crossroads in the direction of Ballingarry. St. Patricks Church on your right dates from 1833 and retains most of its original form and character from that period. The junction here in the townland of Modreeny marks where a shorter alternative route (Loop 3a) to Borrisokane can be taken. This shortcut will shorten this cycle loop from 67km to 46km. To go directly to Borrisokane, turn left and after a short distance the road merges onto the R490. Veer right for Borrisokane which is about 7km away along this quiet country road. To continue on the main loop turn right. After 6.5km you reach the junction at The Pike. About 1.5km from Cloughjordan you will reach a cross roads, turn left here. 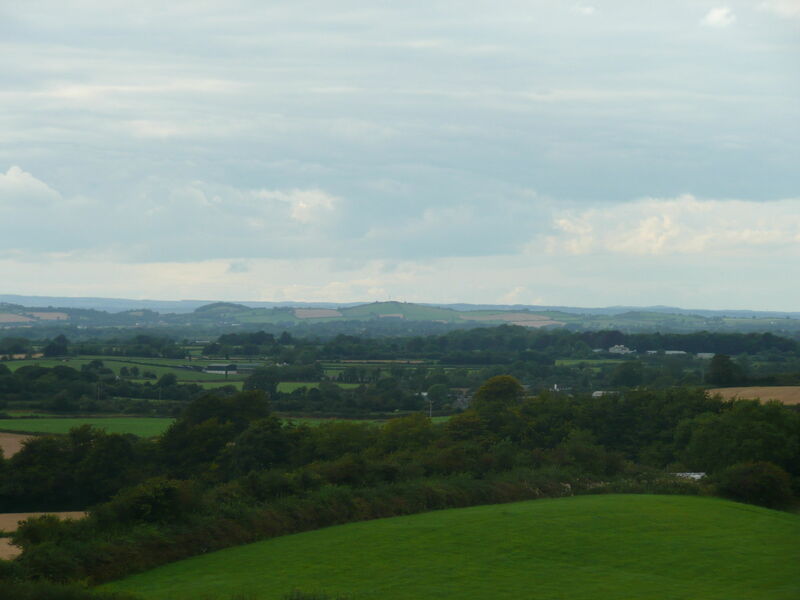 Approximately 500m later you will pass the entrance to Knocknacree Woods on your right. Knockanacree is a very attractive, mostly deciduous woodland of circa. 110 acres. It has a very special place in the hearts of local people and initially formed part of the estate of Knockanacree House, some of the original footpaths from this time can still be seen in the woods. The current woodland is approximately 55 years old, being replanted on the site of an older estate plantation. A network of pathways have been developed by the local community in the woods providing fine nature walks which are well worth a stop. 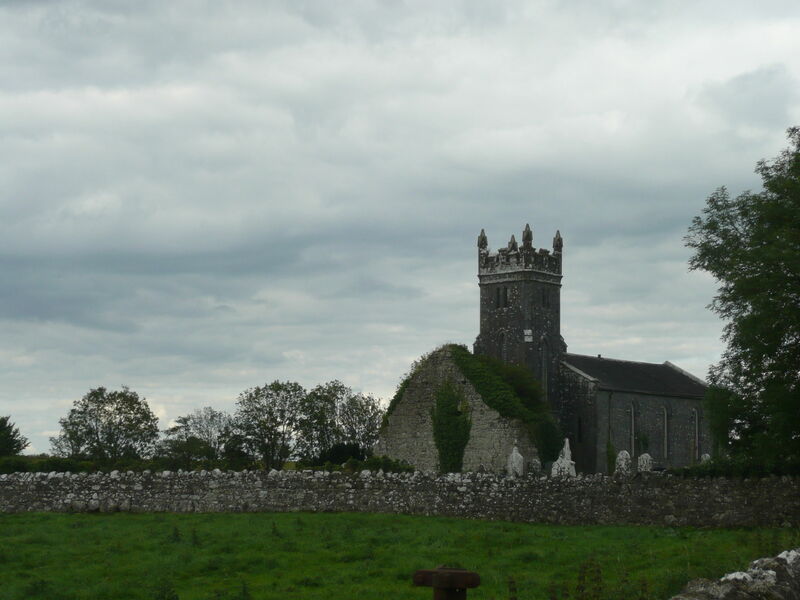 Historic Cloughjordan is a pretty village, situated in the rural countryside of Tipperary. In recent times it has become famous for hosting Ireland's first eco-village but with accommodation, fine pubs, cafes and restaurants as well as a vibrant art and crafts community, there are plenty of reasons to stop and stay a while! This junction in the townland of Clashaniskera. Turn right here. After about 2km you will come to a T-junction where you turn left. 1km later you will reach the junction with the regional road the R490. Turn right here for Cloughjordan. 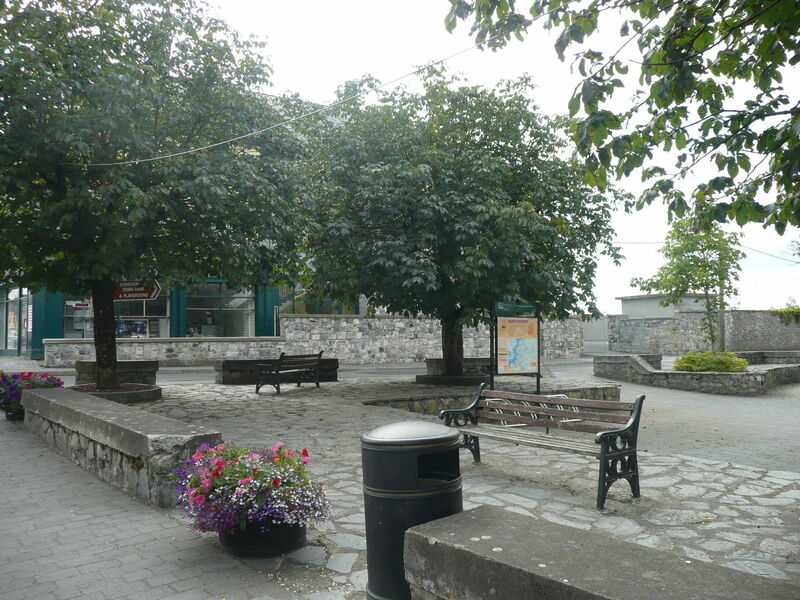 All routes begin in Banba Square, Nenagh, just opposite the Courthouse. 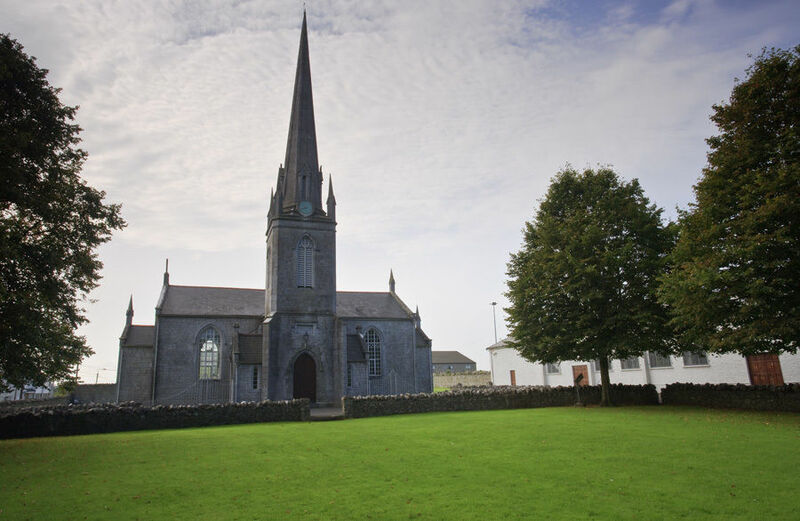 Nenagh is very accessible, located just off the main M7 motorway from Dublin to Limerick. A cycle lane has been created to enable the cyclist safely exit the town from Banba Square. The routes are signposted in both directions and cyclists can choose to travel clockwise or anti-clockwise. This guide describes the route in an anti-clockwise direction. Note that the route utilizes a mix of national, regional and local roads. The regional and national roads can be busy, particularly in the summer months. Cyclists are advised to exercise caution on these stretches.